Industries all across North America require reliable, clean surfaces on which to work. Stainless work tables not only meet the needs of any industry, they exceed them! Stainless steel resilient and easy to maintain, it’s also bacteria-free. At Stainless AD, we understand the challenges faced by all types of industries and facilities. For this reason, we provide products that serve a wide variety of purposes. 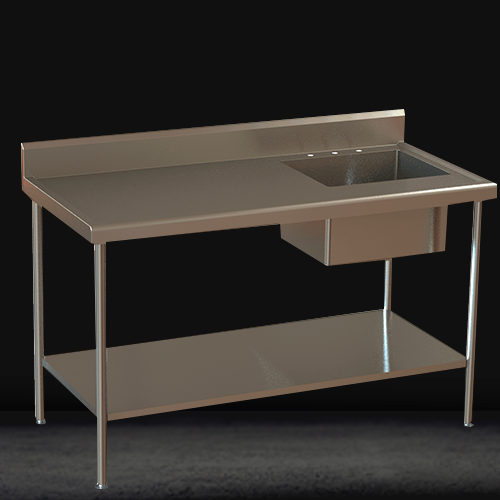 Our stainless steel work table options come with solid surfaces or with added sinks for optimal efficiency. 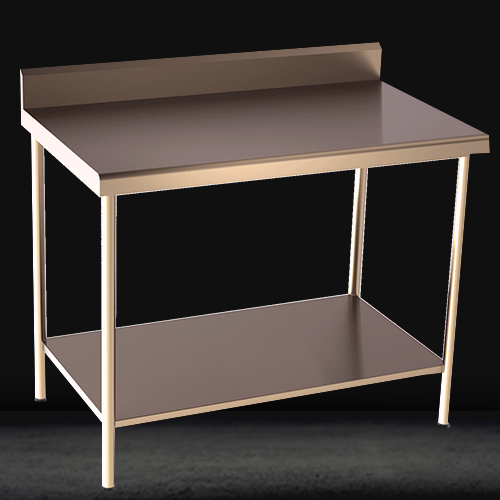 For starters, stainless steel work tables are much more durable than other options. Work tables need to be reliable, they need to be able to withstand whatever the world throws at them. Stainless steel can resist high temperatures while remaining clean and stain-free. Commercial kitchens, for instance, can benefit greatly from implementing stainless steel work tables. Not only will the surface be sturdy and reliable day after day, it will also be bacteria-free. This is crucial for kitchens of all sizes. The food prepared on our work tables will be safe from bacteria. Since the surface of stainless steel work tables are easy to maintain and keep clean, kitchen staff will be able to go about the day without worrying about an unclean surface. 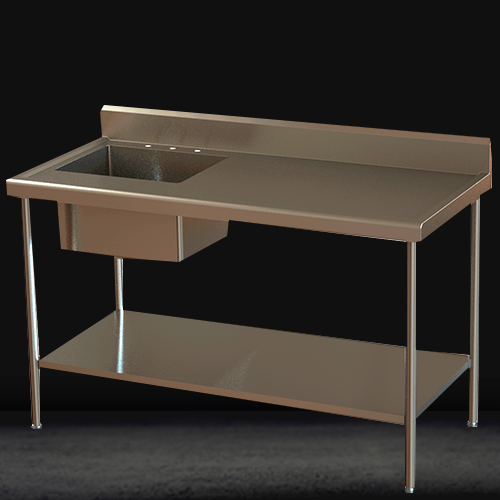 In order to further expand the benefits of stainless steel, our company offers work tables with sinks built into their design. This way, any meat or vegetables that are prepared on the surface can also be washed easily all in one area. Our work tables are built to work hard. They are well-designed, with your needs in mind. No other material can boast all the benefits that come from stainless steel. 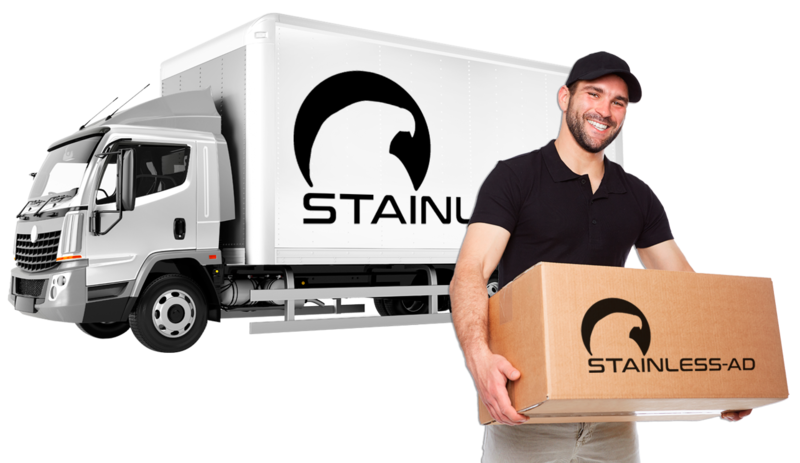 It is scientifically proven to withstand high temperatures, any threat of bacteria, stains and corrosion. This makes it a great option for locations where optimal hygiene is required. Hospitals, clinics, and pharmacies can benefit greatly from stainless steel work tables. 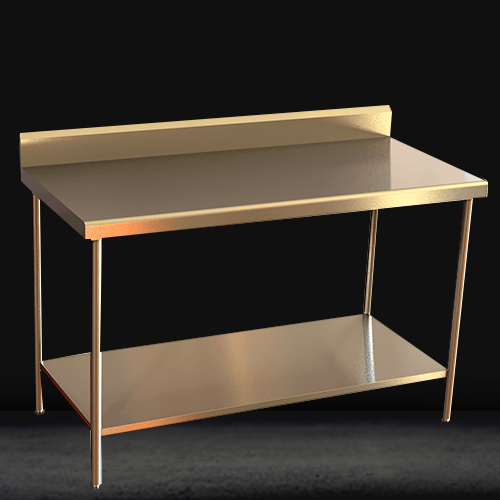 Facilities like warehouses or automobile repair shops can also make use of stainless steel work tables. They can withstand high temperatures and heavy loads without faltering. At Stainless AD, we understand the many benefits of stainless steel. We offer a variety of furniture and appliances made from this resilient material. If you require stainless steel work tables for your commercial kitchen or hospital, contact us today!